At B&G Sheds, we regard customer privacy as an important part of our relationship with our customers. 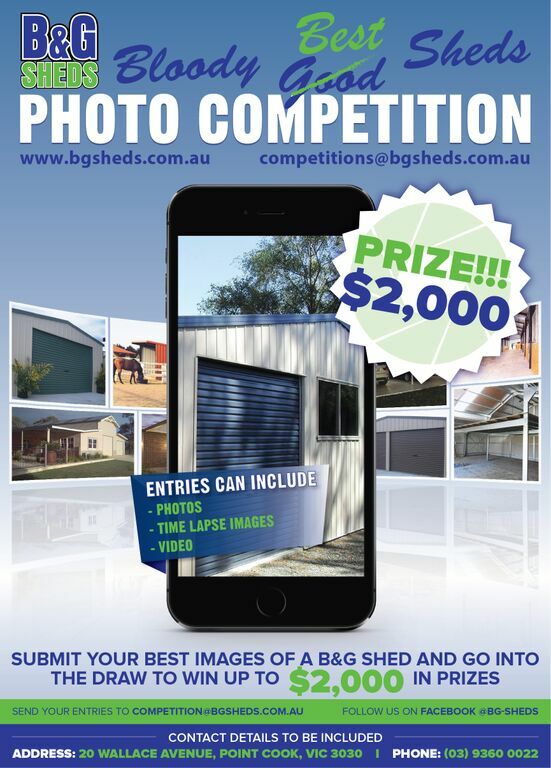 B&G Sheds is bound by the Australian Privacy Principles (APPs) contained in the Privacy Act 1988 (Cth) (Privacy Act). The APPs are designed to protect the confidentiality of information and the privacy of individuals by regulating the way personal information is collected, used, disclosed and managed. We collect personal information about our customers, contractors, suppliers, employees, job applicants and other contacts to understand and meet their needs, to conduct our activities and to meet legal obligations. In order to provide you the service you require, we need to collect a certain amount of personal information about you and your property. We appreciate that you may have concerns about how personal information is collected, used and shared. We can assure you that we strictly comply with all Australian laws, and will always handle your personal information securely and carefully. The types of personal information we collect may include contact information (such as your name, address, email address, fax and telephone number), passport and licence details, property information & search results, your newsletter preferences and any feedback that you provide to us about our products and services, our website, or other matters. We also collect statistical information about visitors to our website. Generally, this information cannot be used to identify particular individuals but in some circumstances it may include a visitor's internet protocol address, which could be linked to the individual. Personal information may be collected by way of forms filled out by individuals (including via online forms), emails, telephone conversations, online user-generated content and market research, face-to-face meetings and interviews. We may need to pass on personal details such as your name, business name and address to service providers and authorities who for the purposes of considering and issuing permits, and to contractors who are to perform some of our activities. If we no longer require your personal information and are not legally required to retain it, we will take all reasonable steps to destroy or permanently de-identify the personal information. If you have any questions regarding our security policy, please email us at sales@bgsheds.com.au. We will not send your personal information to a recipient outside Australia without obtaining your consent or otherwise complying with the APPs. We endeavour to ensure that the personal information we hold about you is accurate, complete and up-to-date. Should your personal details change, or should you no longer require our service, you may correct, update, delete or deactivate your account information by emailing us at sales@bgsheds.com.au. Under the Australian Privacy Principles (APPs), you may be able to obtain a copy of the personal information that we hold about you. To make a request to access this information, please contact us in writing. We will require you to verify your identity and specify what information you require. We may charge a fee to cover the cost of verifying the application and locating, retrieving, reviewing and copying any material requested. B&G Sheds may at its discretion disclose your personal information to third parties only to provide essential services that assist with our business processes. These third parties are prohibited from using your personally identifiable information for any other purpose. We do not share, sell or license your personal information to third parties for any unknown or unrelated uses. When changes are made, it will be posted on our website and in any other places we consider to be helpful for those who may need it.